Anyone on planet Earth at the time will remember exactly where they were and what they were doing on 20th July 1969 when Apollo 11 landed on the moon and Neil Armstrong took his first steps on the lunar surface uttering the words “one small step for man, one giant leap for mankind”. 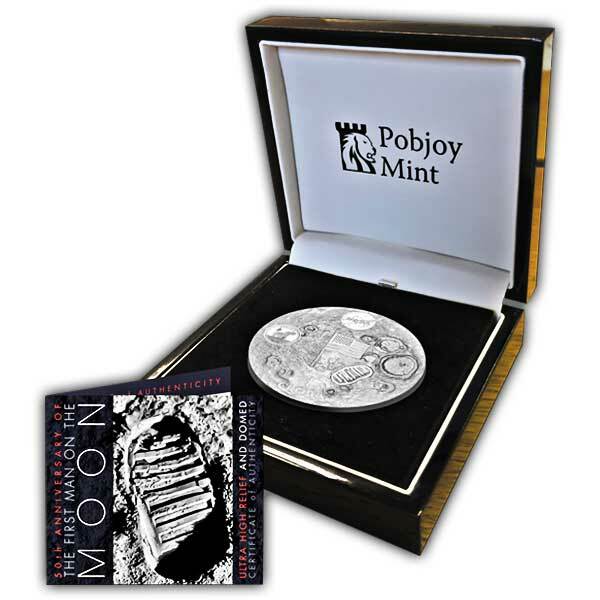 Pobjoy Mint are therefore delighted to announce the release of stunningly unique Ultra High Relief and Domed coin to mark the 50th Anniversary of one of the most historic events of our time. 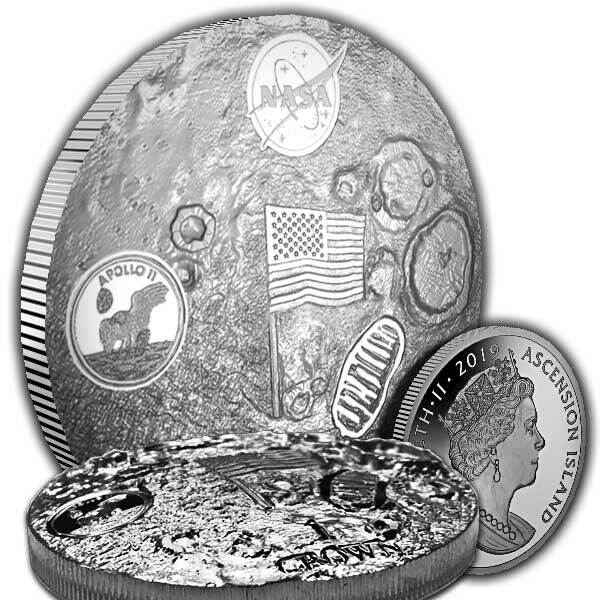 This spectacular and unusual Ultra High Relief and Domed coin replicates the surface of the moon with its rough terrain and craters rising from the surface. The coin also includes the famous footprint left on the moon’s surface along with the flag of the United States of America. Pobjoy Mint was also delighted to be given special permission by NASA to include the ‘meatball’ logo and the Apollo 11 Crew Patch. The obverse of the coin features the exclusive Pobjoy Mint effigy of Her Majesty Queen Elizabeth II.